We're soaking up the fabulous vista at Round 6 of the FIA Formula 1 World Championship, the Formula 1 Grand Prix de Monaco 2016. This marquee event remains the jewel in the crown of the F1 calendar. History, glamour, prestige - Monaco has the lot! But hedonistic pleasures aside, it's actually one of the toughest logistical exercises of the season for the teams. And that circuit? No easy ride, particularly for two young rookies. Nevertheless, the pleasures far outweigh the pain when it comes to competing on the fabled streets of Monte Carlo and we can't wait to get started. Of course, the Monaco Grand Prix has a far greater significance to the boys and girls of Manor Racing. It was here, in 2014, where Jules Bianchi achieved the team's first world championship points with a sublime performance at his home event. He saw a gap and took it, and it was that audacious move on Kamui Kobayashi that would ultimately secure 9th place in the Constructors' Championship and prove to be a key factor in the team's return to Formula One competition in 2015. It's a special event all round, and here's what Pascal, Rio and our have to say about it. Pascal, how much are you looking forward to your first Monaco Grand Prix? 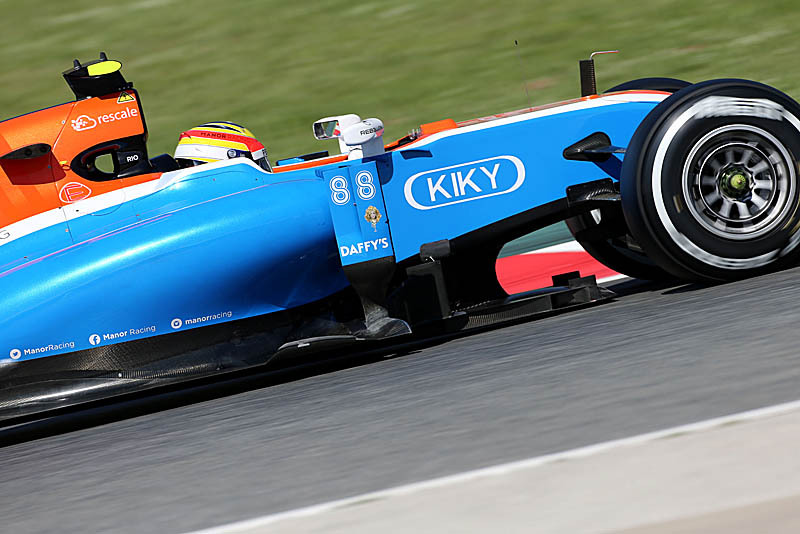 Pascal Wehrlein: "I can't deny it - I'm super-excited! It's a race like no other and although they are all new to me in my debut season, it's such a special feeling - and a privilege - to be competing here. I can't describe the feeling of racing at this track but listening to others that have really gives me goose bumps. What I do know though is that it's a race that demands every bit of focus and concentration from the driver. So although I'm itching to get in the car and go, I'm very aware that there's a lot of preparation to be done between now and the race." PW: "I think it's so unique that it will be every single thing about it. It's the first proper street circuit of the season and one of the most historic events on the calendar. I know I'm going to love it. It's also going to be pretty busy off-track as we have a lot of partner guests and activities here. It will be a juggling act I think but I want to enjoy every second of my first Monaco Grand Prix." Rio, Monaco is the kind of race that reminds everyone how lucky they are to be working in F1. Driving here must take those emotions to a whole new level? Rio Haryanto: "Lining up for my first Grand Prix in Melbourne was a pretty special feeling but I'm sure competing in my first Monaco Grand Prix will come very close. It's a completely unique experience, which I know from racing here in GP2. I've actually been on the podium in Monaco after finishing in 3rd place in 2014 and the atmosphere and sense of occasion is incredible. Although we have slightly more realistic ambitions this weekend, everyone knows that this race creates opportunities like no other - particularly if it rains, which at the moment is the forecast for Sunday." Not for the first time this season, you have the advantage of knowing how it feels to race at this circuit. Give us a brief snapshot of what it's RH: like to be tearing up the streets of Monte Carlo. "It's an incredible experience for a driver. The lap feels so quick and passes by in a flash but at the same time you're captivated by mastering every single corner. It requires every bit of your full focus because it's such an unforgiving track; the proximity of the barriers mean that one tiny mistake can be very costly. But it can also be very rewarding if you get it right." Dave, a big weekend for your two rookie drivers, who will be competing in their first Monaco Grand Prix. How will you approach this event? Dave Ryan, Racing Director: "It's always exciting to be racing in Monaco. Race tracks don't get any more spectacular than this one. The programme is no different to any other race really; once you get past the logistical challenges of what is quite a makeshift environment, it has to be business as usual. Pascal and Rio will be looking forward to the weekend I'm sure but they are very mature heads on young shoulders and they'll be giving this race their full focus, like any other. It's a very demanding circuit with unique set-up challenges, so we'll be approaching it in our usual methodical way but taking every opportunity to enjoy it along the way." You had a very positive test in Barcelona last week. What are your expectations for the weekend? DR: "That's true. We gained a better understanding of the developments we introduced for the start of the European races and that will help us to begin the task of extracting more of their potential. That isn't the work of one race or test; we'll need to keep plugging away to make those incremental gains until our next planned upgrade. As for this weekend, Monaco is such a distinctive circuit that presents its own unique challenges so it's difficult for anyone to predict the outcome. But it's a track that every team wants to do well at and we are no exception. We'll be ready for any opportunity that comes our way."